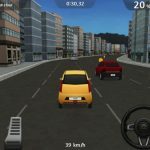 Dr. Driving is a casual mobile game, which is billed as the fastest and most visually stunning driving game. If you beat your opponent in the game’s multiplayer mode, you can get up to 1,000 worth of gold. 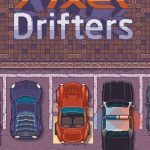 In terms of mechanics, you’ll have to choose an objective, then choose a car, and drive that car in hopes of achieving that goal – it could require you to drive to a certain distance, drift, or even drive slow and operate your car as if you were driving in real life. 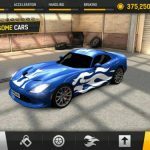 So what’s to do if you want to get the most out of the game, meaning unlock more cars and earn more coins? We’ve got the solution for you, in the form of our list of Dr. Driving cheats, tips and tricks. It’s common logic – if you want to earn coins easily, you want to play the easier missions. 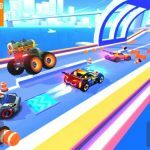 We’re talking about the fast highway mission here, as the only thing you have to do here is to go as fast as possible, avoid cars, and make it to the finish line. The normal fast mission is very similar, though you have to navigate turns in here. Aside from the fast highway mission and the normal fast mission, drifting is quite easy to pull off in Dr. Driving. That may not be the case at first, but with a little practice, drifting will become second nature to you. We recommend beginning your drift in the middle of the first intersection, and spinning your car around; move the wheel as far as possible to the side, hit the accelerator, and repeat that “donut” motion a few times. After that, continue down the path, but don’t stay in the intersection for longer than you should, as you’ll likely run into other cars. As we said above, Dr. Driving comes with some stages where you need to drive slowly, pretty much like you would in the real world. These are the VIP and fuel efficiency challenges, where you need to go slow, drive behind other cars, and save on your gasoline as much as possible. These challenges will earn you a lot of silver coins over time; you can also earn silver coins by completing achievements or grinding missions. Gold coins are the game’s premium currency, and we would suggest that you connect your game to Facebook, as that’s going to earn you some gold coins, free of charge. Silver coins can be used to upgrade the parts of your car, and when it comes to upgrades, we’d suggest focusing on comfort as that’ll allow you to complete the VIP mission quicker. Durability is another area where you should focus on, as that’ll make your car sturdier and more impervious to bumps and dings.